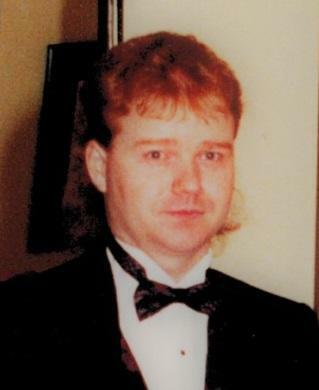 It is with heavy hearts we announce the passing of Gregory Mark Allan Morrison, age 48 of Halifax. Born in New Waterford, NS, a loving son of Arthur Morrison and Rose Morrison (Longphee), brother to Arthur Morrison, Malcolm Morrison (Elaine Legge) and Corrina Suesser (Ulrich), uncle to Arthur Morrison Jr., Jenna Morrison, Konrad Suesser and Kirsten Suesser. Greg passed away surrounded by his family on Thursday, October 4, 2018 at the VG Hospital Halifax, NS. Special Thanks to the transplant unit at the VG Hospital and in particular Dr. Walsh and his team whom provided excellent and compassionate care during his stay. Visitation will take place on Wednesday, October 10, 2018 at T.W. Curry Parkview Chapel located at 755 George St., Sydney from 2 – 4 p.m. and 7 - 9 p.m. Service will take place October 11, 2018 at 11 a.m. at Our Lady of Fatima Parish, 1483 Kings Rd., Sydney, NS, B1S 1E6, Fr. Patrick O'Neill will be serving Mass with a reception to follow. In lieu of flowers donations can be made to Bide Awhile Animal Shelter located at 67 Neptune Cres., Dartmouth, NS, B2Y 4S2, telephone (902) 469-9578 or a charity of one’s choice. To place online condolences, please visit: www.cruikshankhalifaxfuneralhome.com.